Description: NO MAGAZINE SALES into NEW YORK CITY. Connecticut buyers must furnish FFL or State Permit copy. This listing is for ONE magazine. 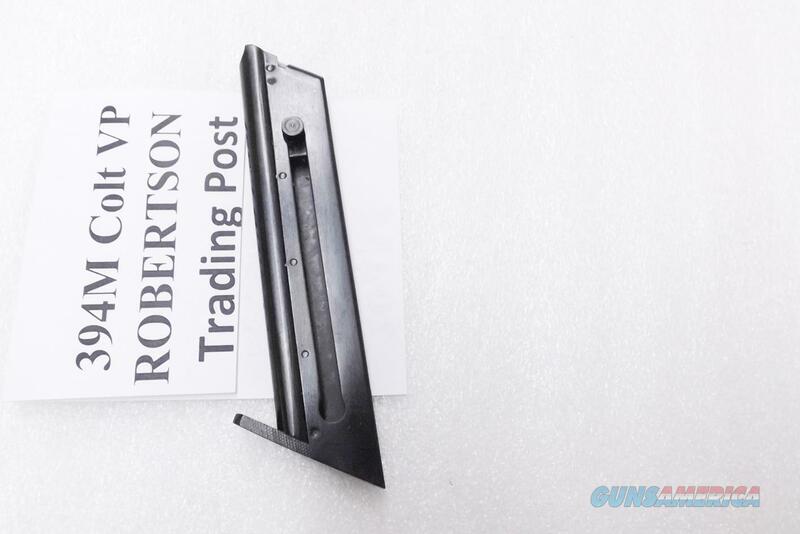 Here are US made steel replacement magazines for Colt's Third Series Woodsman class semi automatic pistols chambered in .22 LR, and manufactured from 1955 until 1977. Manufacturer and warrantor is Triple K Manufacturing of San Diego. These are Not, then, Colt factory magazines. Construction is two piece folded steel body, with left side round count and follower tab slot; bench tested steel spring, steel follower tab and floorplate, and with polymer cartridge follower. Closure is 5 lateral spot welds on each side, as the photos show. Finish is brushed surface blued steel, with smooth milled back seam. Each magazine holds 10 rounds of .22 Long Rifle caliber ammunition. These magazines will only fit third series Colt Woodsman, Huntsman, and Challenger pistols chambered in .22 LR that were manufactured from 1955 until 1977. Shoppers who are not familiar with the different variants should consult proofhouse com and wikipedia. These magazines will NOT fit First or Second Series Colts manufactured from 1915 until 1954. They will Not fit any other pistol besides a third series Colt .22 LR Woodsman, Huntsman, or Challenger. Each magazine comes in its factory package with statement of warranty. Shoppers who want the outer packaging should select Priority Mail shipping. Replacement pricing on original Colt Magazines for the third series will approach $100 apiece. We're offering the Triple K number 394M, however, each	for only	$ 33.00. Not for sale to residents of New York City. Connecticut buyers must furnish FFL or State Permit copy.